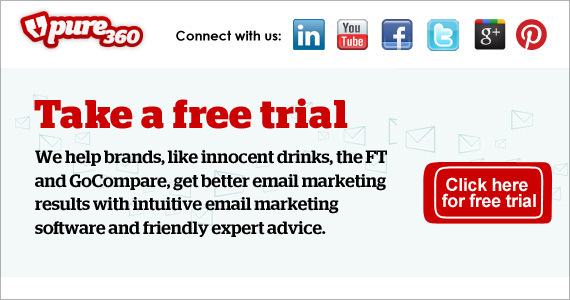 Pure360 gets thousands of marketers’ better results, providing clients such as Innocent drinks and Seatwave with powerful time-saving email marketing solutions and expert advice. PureResponse is a powerful, easy to use email marketing platform for marketers to deliver targeted, ROI proven email and SMS campaigns. 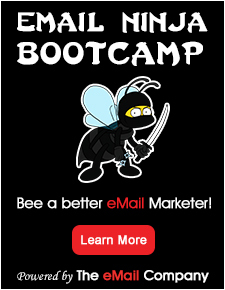 Seriously powerful tools + Expert advice = Exceptional email marketing! Formed in 2001, Pure360 provides email marketing solutions to brands such as the iconic innocent drinks and award-winning Seatwave. We are certainly not your average ESP. Available in a variety of flavours and with dozens of options to make it your own, Pure360 PureResponse, our software, has been designed by our very own super geeks to be both flexible and scalable. @ Pure360, we’re big believers that an email marketing company should provide more than just technology so our customers get training by actual people, in-house creative services and oodles of support and advice from our Pure360 email service provider experts. Pure360 – All of this and no contracts – we want our customers to stay because they love us, not because they have to. You want to reach your potential and current customers with two-way messaging, start conversations and then view how well your campaigns have gone. Pure360 products will help you to do that. Backed up by the best support in the business. Once you’ve created and tested your campaigns using our range of intelligent functionality such as split content testing, send out your message via email, SMS or through Twitter, Facebook & Linkedin. If you want to automate or schedule your campaign then you can, and if people don’t respond first time you can set up simple retarget non-opens. Knowing what elements of your campaign worked and didn’t is vital to improving your results, our reporting tools will give you that insight. Opens & clicks are a given but you can also see what type of device your message was viewed on, what links were popular and whether the recipient went on to complete a web form or make a purchase. Sending your campaign to social sites? Then view likes, retweets and what comments were made. 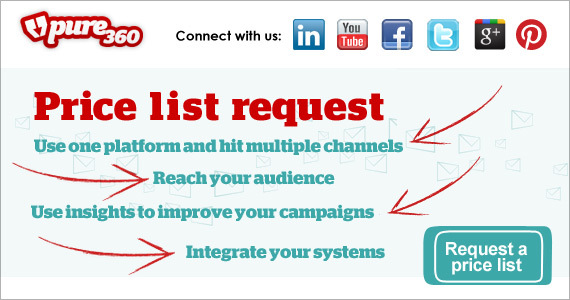 You don’t need to use your channels in silo anymore. Email, mobile and social can easily be integrated to make sure your messages get to your audience wherever they are. Additionally, if you want to use your CRM system to provide contact details and also record responses to campaigns then that doesn’t need to be costly or time-consuming. Pure360 can also integrate to your tracking software such as Google Analytics or DC Storm and e-commerce platforms such as Salecycle. Get the most topical expert email & SMS marketing advice, news, and opinion direct to your inbox. 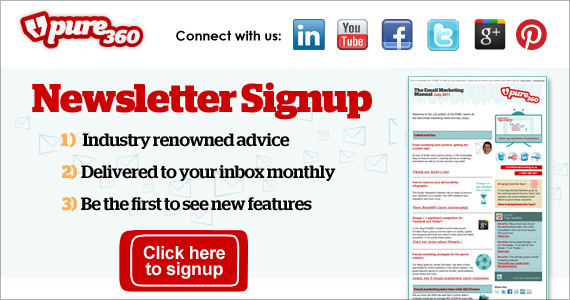 We produce a wealth of guides, tips, webinar’s and whitepaper’s every month at Pure360 towers. Sign up to our newsletter and our top performing will be delivered direct to you… You wont have to move a muscle.